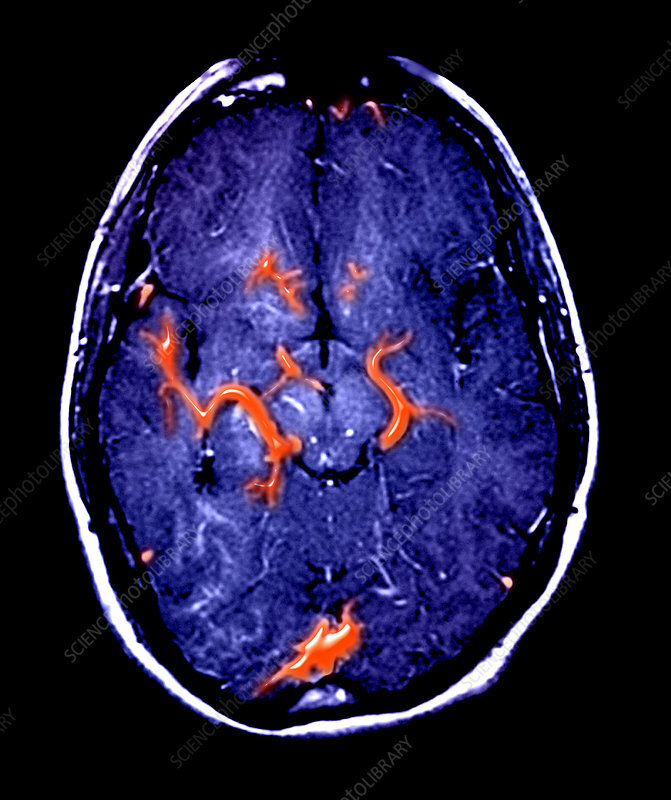 This colour enhanced axial (cross section) MRI image of the brain shows multiple developmental venous anomalies (DVA). These are red. These are congenital malformations of the cerebral venous system. Rarely they may be associated with the development of small regions of bleeding (cavernous malformation) but most often they are asymptomatic. These are very common in the general population.